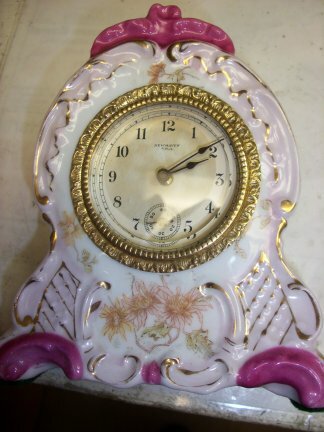 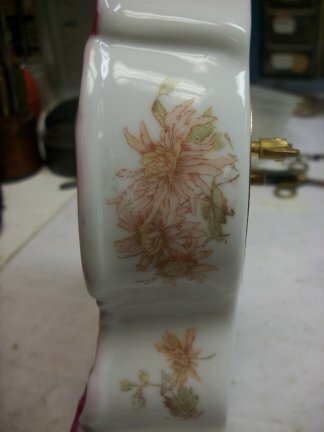 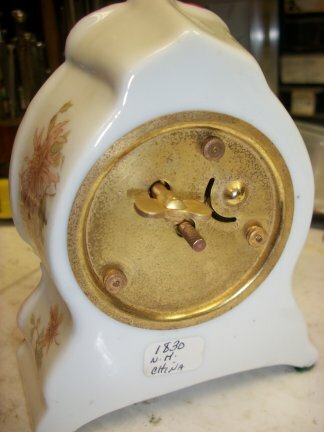 This is a 30 miniature porcelain clock made by the New Haven Clock co. 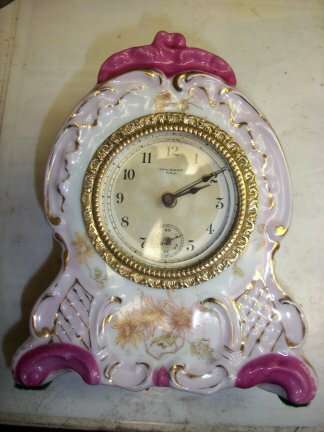 The clock has a 30 hour balance wheel time only movement. 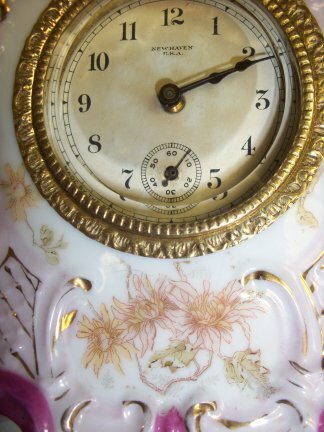 Close up of dial and bottom painting.